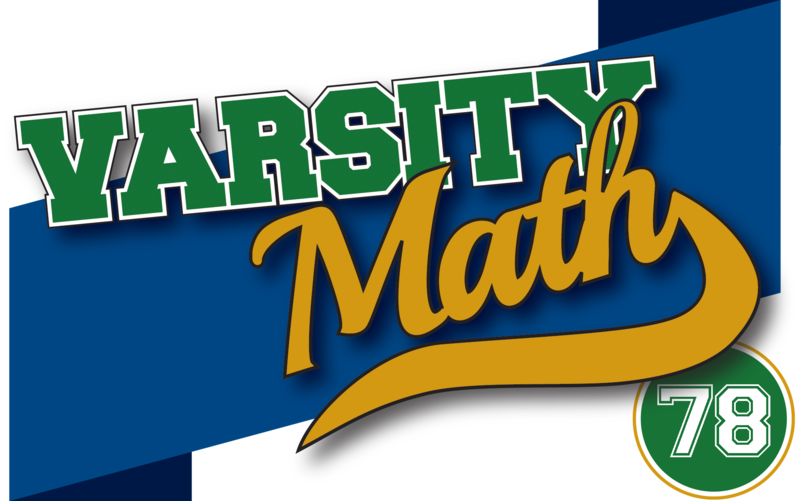 Coach Newton was saddened to hear of the recent passing of logician and puzzlemaster Raymond Smullyan, and so produced this pair of deductive conundrums in tribute. Raymond passed by a large pigpen, about which he later reported the following two facts (which we shall presume to be true). The pen contained exactly 18 pigs. 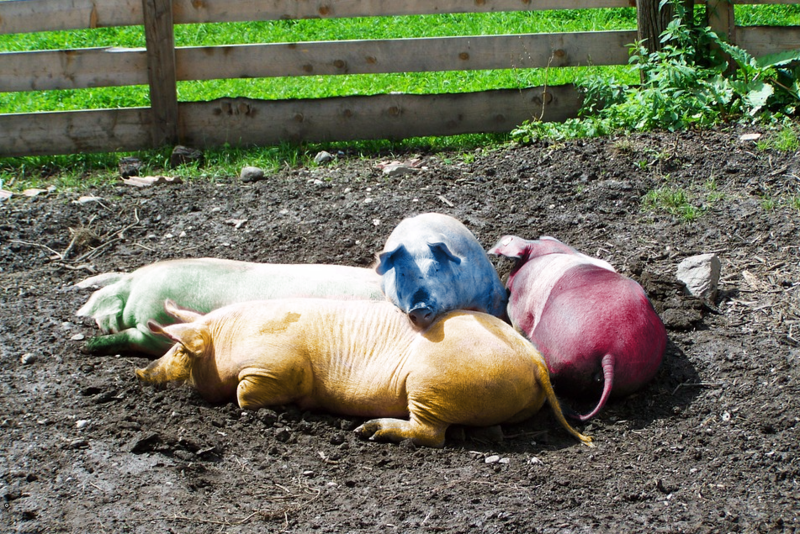 Given any two of the pigs from the pen, at least one was yellow. What is the minimum number of yellow pigs that the pen may have contained? Raymond once had two logicians arrive as houseguests on the same day. “To entertain you during your visit and, I hope, to induce you to stay a little longer, I have placed a total of either seven or nine gold doubloons on the dressers of your two rooms, divided in some way between the rooms, with at least one in each room. Each morning at 9:00 am, if you can tell me how many doubloons are in the other guest’s room without ever having discussed the matter between yourselves or venturing into the other room or indeed without any other additional information than whether or not the other person has succeeded in this logical quest on a previous morning, you are free to take the doubloons on your dresser as my gift to you. Oh, and you only get one try at identifying the other guest’s number of doubloons, so be careful and don’t respond until you are certain of that number; but you must guess as soon as it is possible for you to be certain.” Interestingly enough, both guests play by the rules Raymond lays out, and both guests earn the right to the doubloons on the same morning. How many doubloons did Raymond distribute? And on which morning after their arrival did the guests guess? Trial Squares. 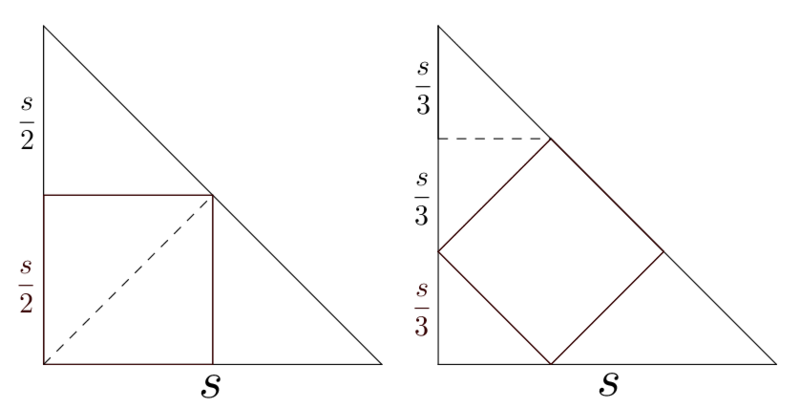 The diagram at right shows the two ways to inscribe the square in an isosceles right triangle whose legs have length s. In the first way, the side of the square is s/2, so the area of the square would be s²/4. In the other way, the side of the square is s√2/3 (since the square touches each leg one third of the way along the leg, as shown. 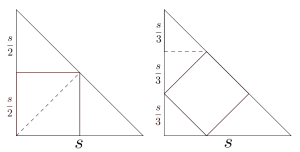 So in that way of inscribing the square, the area of the square is 2s²/9. Since 2/9 < 1/4, the square has larger area in the first way. So s²/4 = 576, which means that s = 48, so the area of the smaller square is 2s²/9 = 512. Four of Six. The diagram at left is the same as the diagram that originally appeared with the problem, but with additional points labeled. 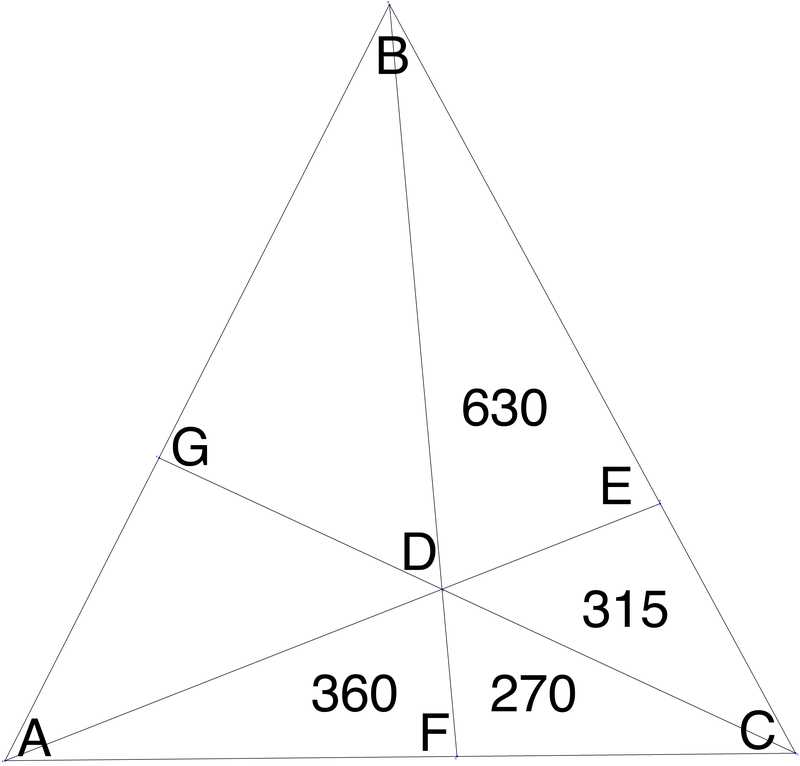 Note that triangles DAC and DFC have the same height and bases AC and FC, respectively. 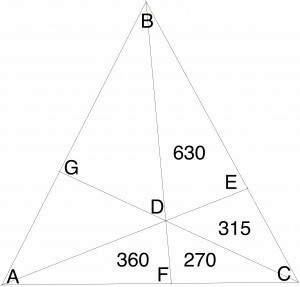 Similarly, triangles BAC and BFC have the same height and bases AC and FC, respectively. Therefore, the ratio of the areas of DAC and DFC must be the same as the ratio of the areas of BAC and BFC. But the ratio of the area of DAC to that of DFC is (360+270)/270 = 7/3. Hence the desired area of triangle BAC is 7/3 that of BFC, or 7(630+315+270)/3 = 2835.